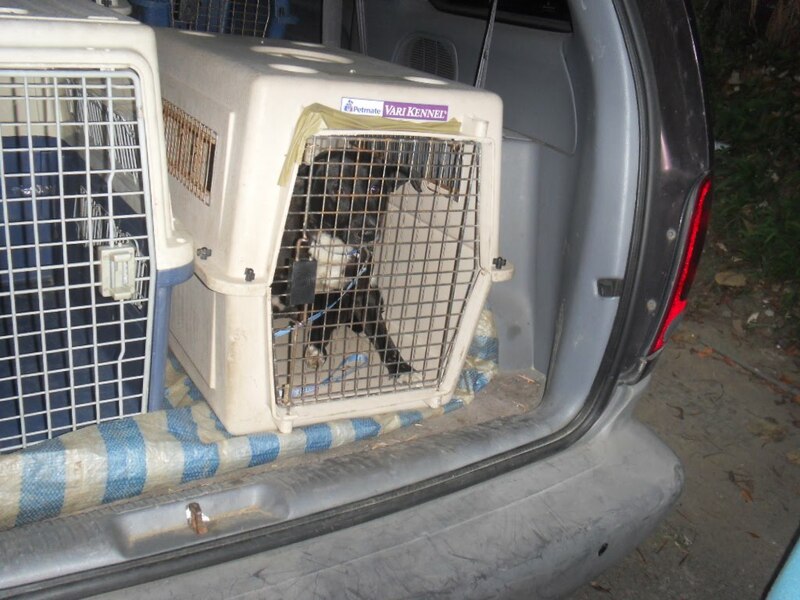 4 little kittens were found in the Shida Area. They are healthy and very curious. One has already been adopted. 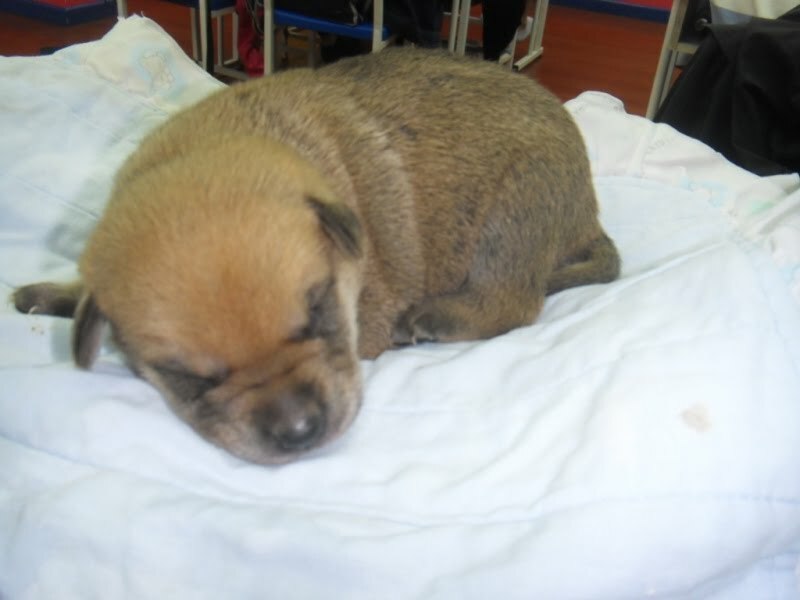 Oliver the orphan puppy.Male DOB approx April 18th 2011.
reared. He will be ready for adoption around the end of May. 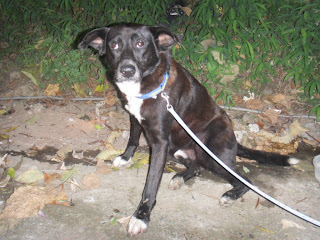 Email liza@animalstaiwan.org if you are interested in adopting him. 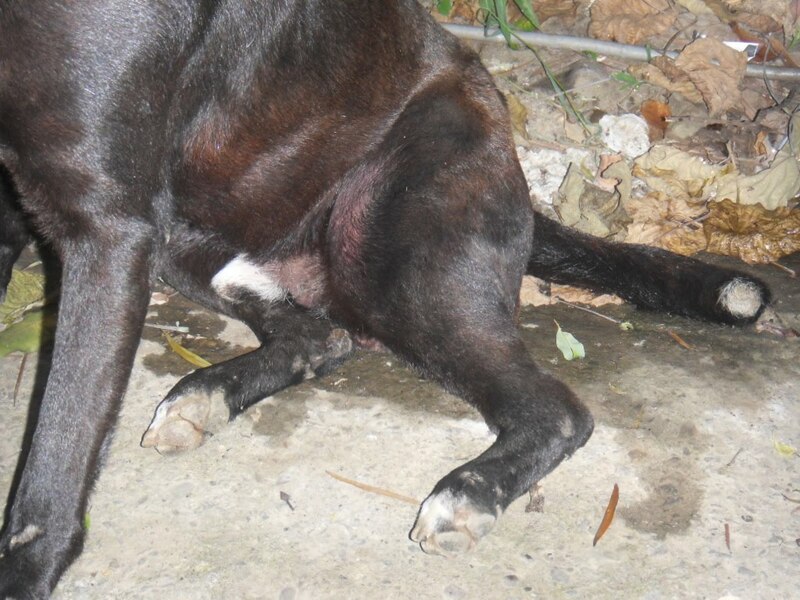 This week Animals Taiwan received two separate calls about hit and run accidents involving dogs. 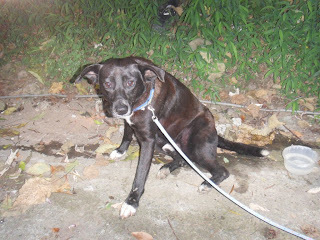 The first one was in the north of Taipei, a feeding lady whom we help with CNT/TNR called us about a dog which had been hit by a car and couldn't walk. She had no transportation so couldn't get it to us. We went out but didn't find the dog. We called the feeding lady and asked her to call us when she next saw the dog and to stay with it until we got there. She called us back after a little while and we went to find the dog. This time we found it. He was in a bad way and couldn't move. He was scared but seemed to know we wanted to help him. He's friendly and we feel he has a great chance of getting back on his feet, literally. He has a broken jaw and suspected hip and leg fractures. He will be receiving medical treatment and we'll keep you updated on his progress. The second one was in Hsin Tien. 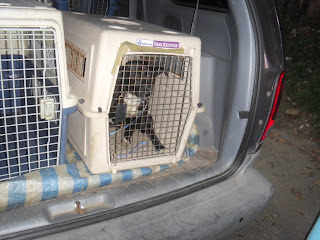 Again a feeding lady who we are in contact with to help with CNR/TNR and adoptions called us about a male dog in a hit and run. The feeding lady had actually called us a few days before to say this dog had been hit. However, due to adrenalin he had run off and hadn't been seen since. Sunday night, however, he was spotted. We asked the feeding lady to stay with him and we drove out to pick him up. Again he was scared and confused but he let us help him without any fight. He is a little luckier than the first one and only has a leg fracture. He has a great deal of swelling so we will have to wait until the swelling goes down before he can be operated on. Both of these dogs will under go operations and we will keep them safe while they are recuperating. We can only continue to do these rescues with your support. Please donate to Animals Taiwan so we can continue to help those who need it most. We have limited recourses but we try our hardest to help every case. With your continued kindness we can continue to help these animals. Also please promote adoptions! The more animals that are adopted from us the more we can help. We have to free up space before we can let other animals in to our centre. We have to always think about the quality of care we can give these animals and overloading our centre is not an option for us. We always take emergency calls, but please consider when you are calling how you can help too. 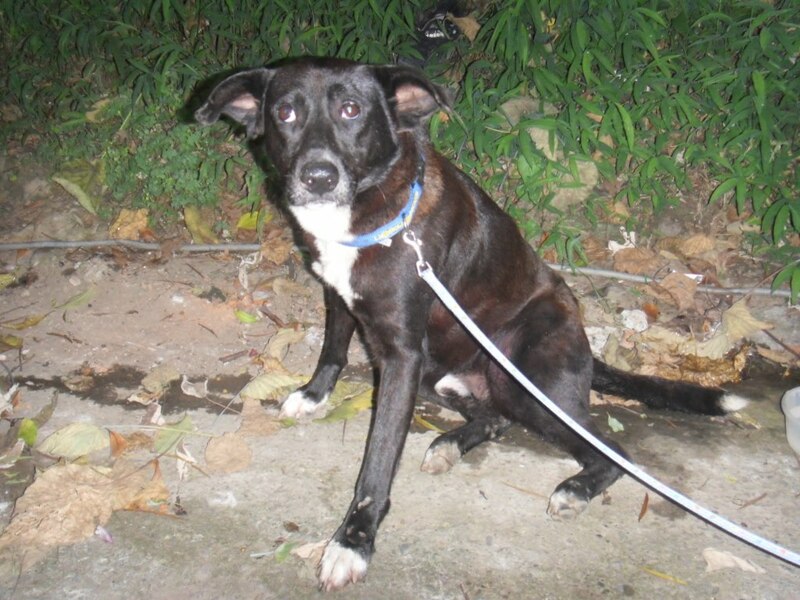 Please call us 02-28338820 or email inquiries@animalstaiwan.org if you are interested to know Animals Taiwan more. Animal Love day Event!!! Here are the photos of the event.